Logins this hour: 2698 ? Email a link to your staff that points to the newly updated schedule at Amion.com. Log in at Amion.com with your admin password. Once on your Amion Administrator page, in the Email section, select Email Finished Schedules from the drop-down selector. Select the month you want to display. Select the staff types that will receive your email. Add a subject line to your email, and if desired, custom text to the standard email via the Note field. Click View recipients to see who will be receiving the email notification. When ready, click Email to send. Set up automatic notifications to your staff and/or additional administrators of schedule changes. 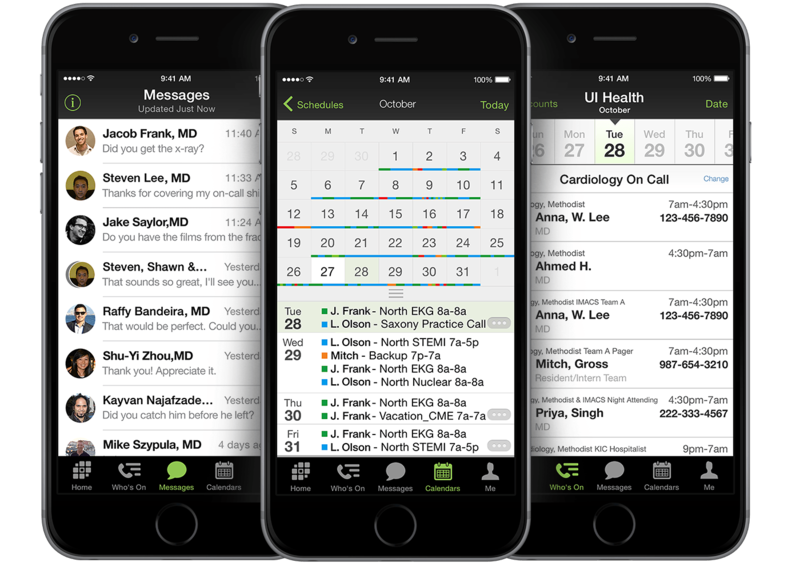 In OnCall, click on Window in the menu toolbar and select Calendar Subscriptions. At the bottom of the window is the Email schedule-change notices for section. 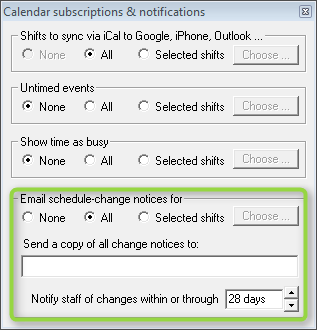 Choose All to notify for any change made in your schedule, or Selected shifts to choose specific services from a selection window. *Note: you may need to unlock the selection window in order to select the services from the list. To unlock, hold the Ctrl key on your keyboard as you click the lock icon. Staff involved in schedule changes will automatically receive email notifications. *Note: only if staff have emails entered for their contact info. If additional person(s) need to receive notifications, enter in the email address(s) in the text field provided. Separate multiple email addresses with a comma. Adjust the date range for notifications by setting the number of days in the lower right corner of the subscriptions window. Notifications will be sent only if a change falls within this time frame. You may set up different additional person(s) for notifications and alternate date ranges per service. Click on the service name on left-hand side of schedule. Above the email field, the service name appears as part of the text. Enter in emails of additional person(s) that should only receive notifications for the selected service. To set a different notification period, hold the Ctrl key and click the up or down arrows to adjust the number of days. An asterisk (*) appears next to the number of days set to indicate the alternate number set for selected service. To go back to using the default number of days, click the down arrow to 0 or type 0 into the box.